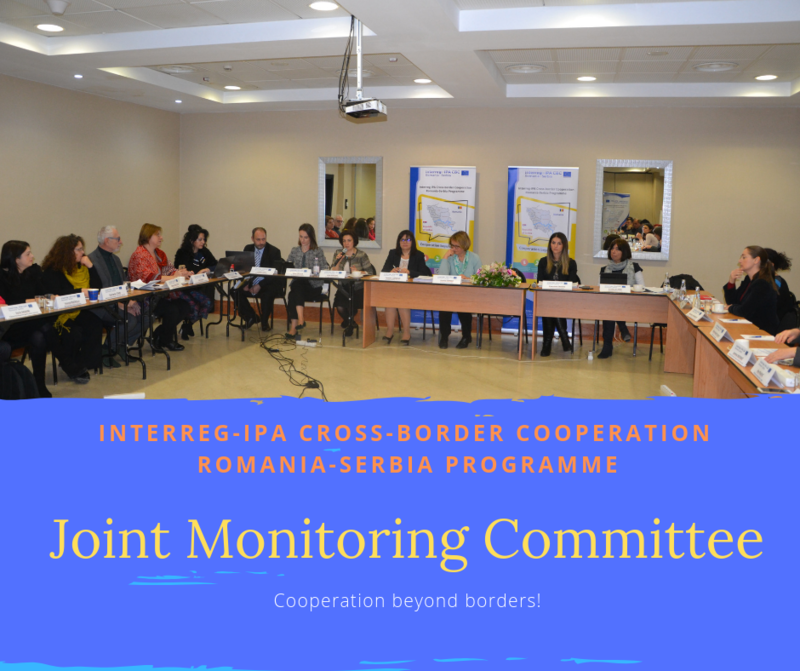 On Thursday, the 31st of January 2019, the sixth meeting of the Joint Monitoring Committee of the Interreg-IPA Cross-Border Cooperation Romania-Serbia Programme took place in Timişoara, Romania. On this occasion, under the second Call for Proposals, 33 projects were approved and proposed for financing, amounting to a total of approximately 20 million euros. The Interreg-IPA Cross-Border Cooperation Romania-Serbia Programme continues to fund the cross-border cooperation projects in the Romanian-Serbian border area for the 2014-2020 programming period through the Instrument for Pre-Accession Assistance (IPA II), with the support of the European Union and the governments of the two states. The programme was approved by the European Commission on the 6th of August 2015, the first call was launched on the 15th of September 2015 and the second on the 27th of November 2017. The eligible area of the Programme consists of the counties Timis, Caras-Severin and Mehedinti (from Romania) and the districts South Banat, Central Banat, South Banat, Braničevski, Borski, Podunavski (Republic of Serbia). Following the first call, 34 projects (32 normal projects and 2 strategic projects) were contracted, amounting to approximately 46.8 million euros. Romania fulfils the role of Managing Authority through the Ministry of Regional Development and Public Administration, the National Authority being established within the Ministry of European Integration within the Government of the Republic of Serbia, and the Joint Secretariat is organized within the Regional Office for Cross-Border Cooperation Timisoara. The audit at the level of the Programme is carried out by the Audit Authority attached to the Court of Accounts in Romania, and the certification tasks are performed by the Managing Authority.